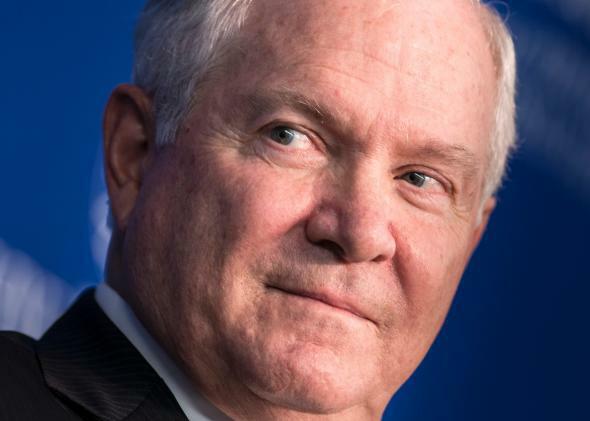 Duty: The funniest part of Robert Gates' very serious new memoir. My colleague John Dickerson has already analyzed former Secretary of Defense Robert Gates’ memoir Duty; I’m punching my way through it. Present at the Creation this ain’t. Gates is a matter-of-fact, frills-free writer, the kind who can write with no irony that “what you won’t find in the report of the Iraq Study Group was how much fun we had.” This style leads to one moment of apparently unintentional mirth. So: It’s the fall of 2010, and Gates is meeting with the president and top brass. “Biden, Mullen, Jones, Donilon, Brennan, and Tony Blinken, the vice president’s national security adviser, were there.” The subject: how to be ready if a conflict between Iran and Israel ignites. Gates worries that the particulars have not thought the scenario through, and advises the president to deploy a second aircraft carrier to the Persian Gulf soon, just in case. The meeting ends. Yes, what would give the president that idea?